In 2009 we have been nominated for the climate award and we were mentioned in several Dutch papers, Radio programs, London Florist magazine etc. 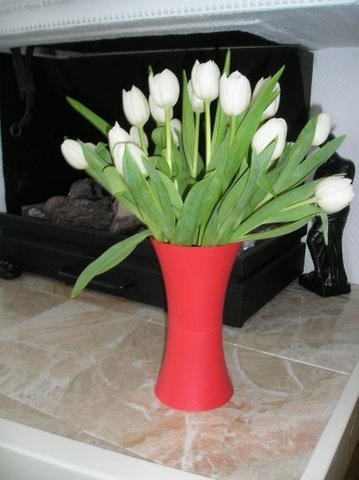 The Biovase is a biodegradable disposable flower vase. After an investigation time of about 4 years, the product is ready to produce, because we did several tests and developments with the TNO. TNO is the Dutch Institute for Knowledge for Science and Industry. We did tests with European and American raw materials. The product is known to Cereplast- California as some models are issued to the former manager Mr. Muchin. In Holland we have some potential large customers, but till now we did produced only 2000 pieces as promotional items, due to lack of finances and because production in Holland is far too expensive. The American raw material was perfect and a cheap possibility for the huge market. The raw material and dyes are made from re-usable plant materials and are certified and meet both the biodegradability as for compostability to BPI standards: ASTM 6400 D99 and ASTM 6868 and European standard EN 13432 and the USDA-FBPA standards. These materials are biodegradable in a composting facility in 60-180 days. 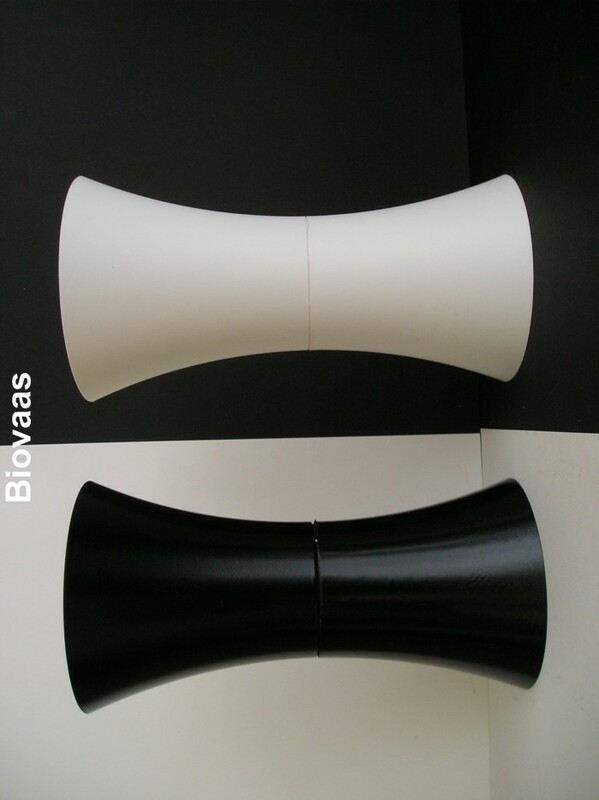 For the shape of the Biovaas we choose, in cooperation with TNO, for a diabolo-shape (global recorded under No. 000881370) for its stability. 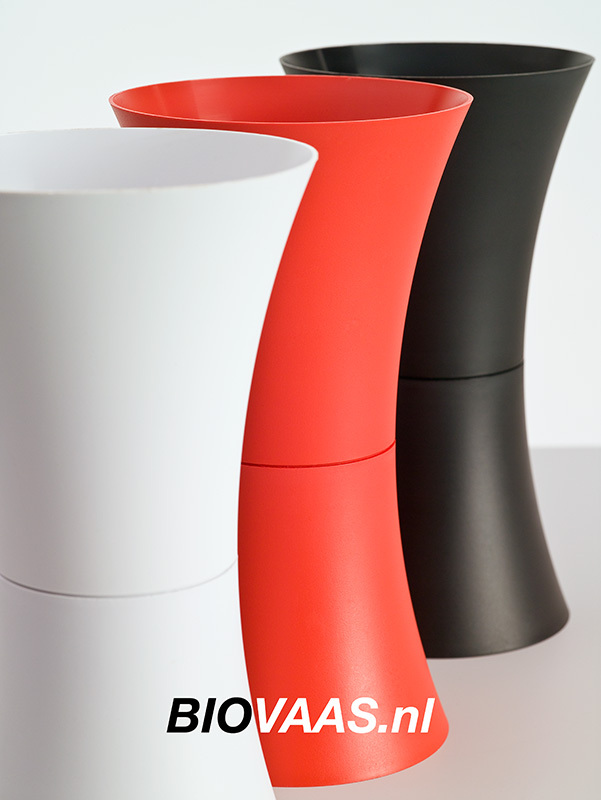 An additional advantage is that the vase is into two parts due to the injection moulding), what makes it possible to create color combinations: current colors: red, black and white. The production can be started everywhere, because we own the mold for injectionmoulding the present form. Water in the toilet and old flowers with Biovaas can be put into the green bin or recycled. No more cleaning dirty vases (slimy bacteria) etc. . In the context of better hygiene, the Biovase is the relief against spreading bacteria. Flowers usually have a lifespan of up to 1.5 week and if the water included a preservative (e.g. clear Chrysal ®) added to stop the growing of micro-organisms, the flowervase would only be refilled – if necessary- one time a week . 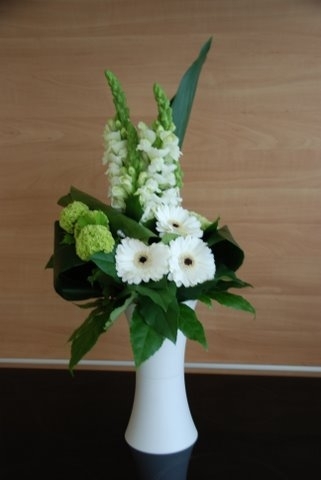 Do NOT wash the vase because of spreading the bacteria. A customer like to buy – he told - more than a million pieces if we can produce a clear one in the same form, but as one-piece ( blow-moulding). Due to my age (68) and due to my health( several bypasses), it is impossible to do the marketing and the rest of the promotuions and/or the following business by myself. The selling price of all will be € 800000, payment possible in two parts. I am looking for a buyer, but if necessary a license contract is possible too. EVERYTHING IS POSSIBLE AND NEGOTIABLE,but speed is commanded. 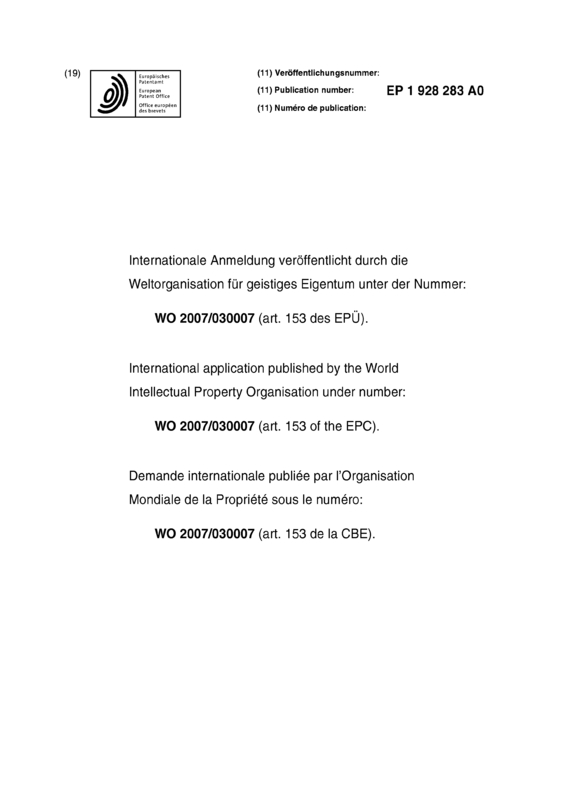 Page created at 2019-04-25 19:57:49, Patent Auction Time.